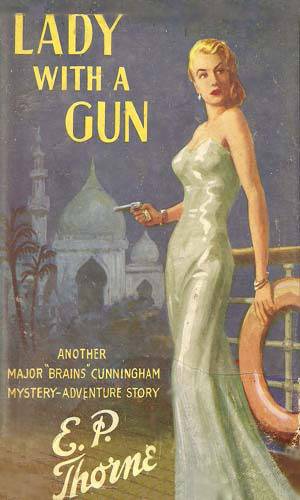 "Brains" Cunningham is an agent for Department S-3, British Intelligence. This highly influential clandestine service has a mandate that seems incredibly broad as Brains gets involved in cases of all sorts, from simple murder to smuggling to secrets stealing to madmen intent on taking over the world. At no time does Brains seem the least surprised or put out no matter where he is sent or what he is asked to do. 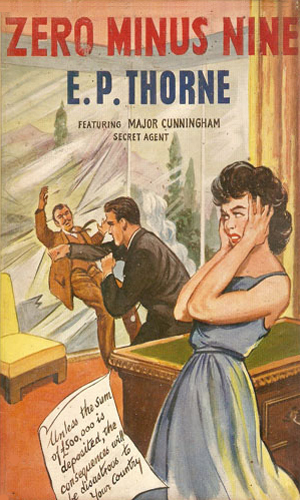 Starting near the end of World War II and continuing on well into the 60's, the adventures of Cunningham represent the epitome of cool, suave, in-control behavior that is now often the stereotypical British agent. If ever there could be considered a prototype for this image, Brains is the man, complete with the drawing room and the pipe and slippers. And as he travels the globe fighting the enemies of the Crown, Brains is constantly accompanied by Pring, his loyal, often lugubrious, batman. While at all times his servant, Pring is also Brains' friend and his assistant. Pring is a very good cook. He is also very good at knives and at sneaking and at street fighting and many other things. Maybe not as good as Brains but still very deadly. 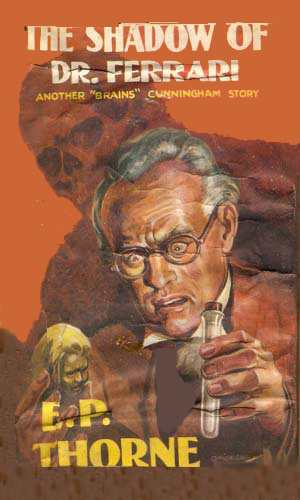 Brains' escapades are often told from the viewpoint of a friend visiting his digs and seeing yet another tricket or oddity in a display case that Brains prominently displays in his drawing room. This case contains some very strange items, not least of which is a shrunken head. Each item has a story behind it and Brains enjoys telling it. The report of a murdered man at a bar named the Mandarin by Cheng Su seemed like the act of a good citizen but there was more behind Cheng Su than most people knew, or admitted, as Brains Cunningham soon found. 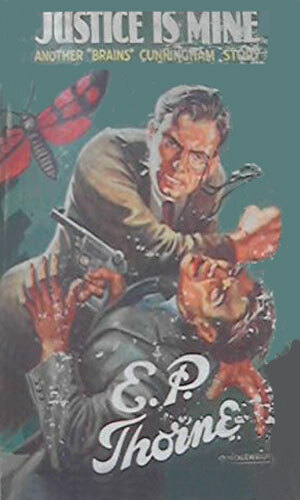 With the war coming to an end soon, Brains Cunningham is sent to Spain to investigate the odd behavior of an Italian name Ferrari, and to find out why the last agent sent on that mission was killed. The murder of a British agent along India's northern border gets Brains Cunningham recalled from his hunting trip and gives him a chance to do a different kind of hunting; the kind where the hunter is also being hunted. 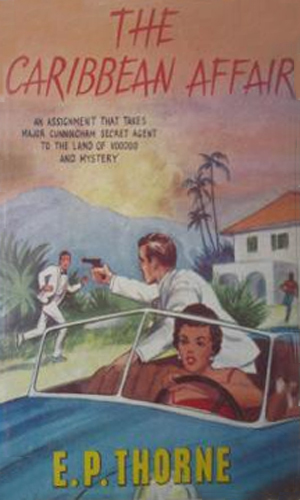 The death of a noted British explorer causes Brains Cunningham to join forces with an agent from the Surete as they go up once again with the dangerous Dr. Ferrari. 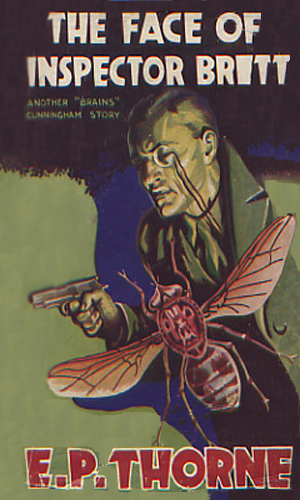 Brains Cunningham is the only man who doesn't believe that the young man named Young was responsible for another man's death but proving it will put him in the middle of a string of very strange crimes. The locale is Haiti and the situation is growing grim as Brains Cunningham must get involved with a voodoo cult known as the Sect Rouge to save the lives of diplomats and himself. 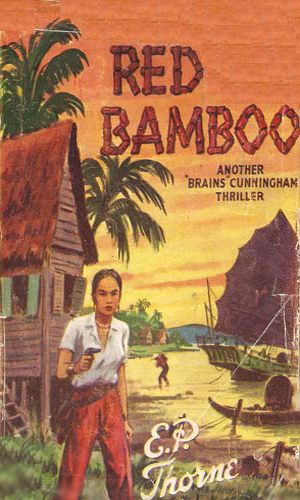 It was in Malaya that Brains Cunningham, investigating a mysterious Chinese junk, goes up against the highly secretive Society of the Red Bamboo. The beautiful Madame Koi is an even bigger unknown - friend or horrible foe. The message from the Department S-3 agent arrived after he was found dead, saying that he was on to somthing. 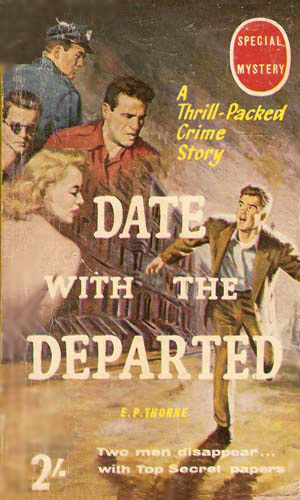 Knowing it was related to his death, Brains Cunningham is sent to finish the work. Two men with impecable loyalty disappear with classified documents. A constable who learns the truth dies suddenly. That's when Brains Cunningham is brought in. 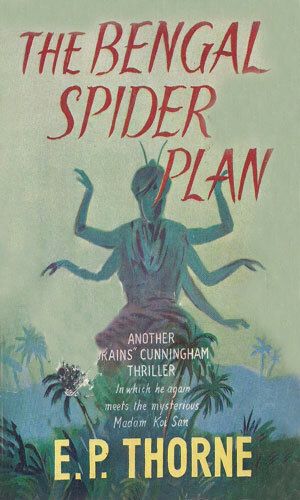 Before he was drugged and left to die in India, a reporter had come upon a plan showing a shape that looked like a spider. 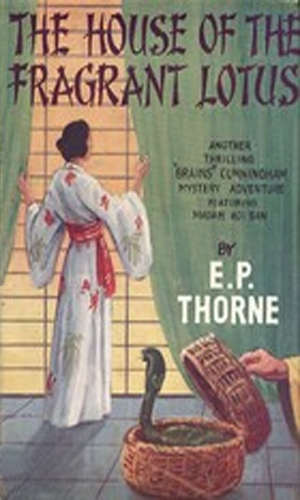 The disappearance of the plan is what interested Brains enough to track it back to Madame Koi San. 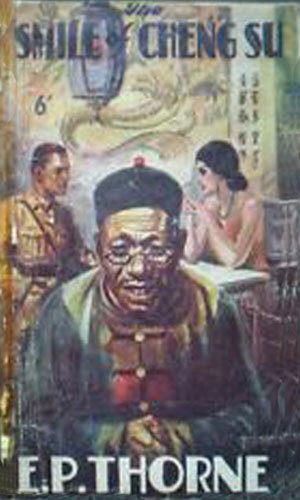 The big question facing Brains Cunningham was why was the MI-5 agent Markham murdered in while in Burma? Then there was the sudden disappearance of S-3 agent Nielson in Singapore. Was there a connection and, if so, was it the beautiful Koi San? A letter that could bring about another world war is being used as blackmail for a half million pounds. Brains Cunningham is given the assignment of retrieving it and he has only nine days to do so. Unfortunately, the letter could be anywhere in the world. 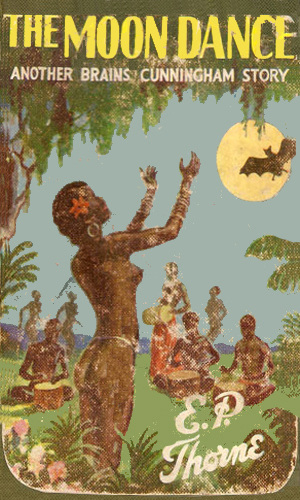 The murder of a MI6 agent in Cuba takes Brains Cunningham to that Caribbean nation but soon the case leads him to the Black Republic, a nickname for Haiti, and the luscious dancer, Victoria. 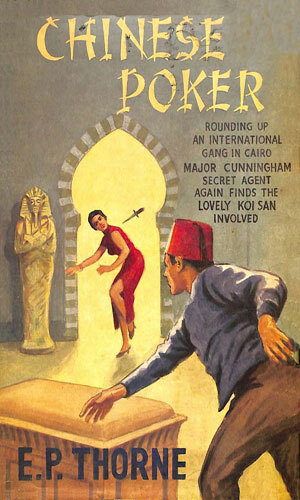 You can't get more "British" or more debonaire that Brains, which is why anyone who wants to read good old-fashioned spy adventures, back when the bad guys almost wore signs announcing themselves and woman were either damsels to be saved or Jezebels to be avoided, should give them a try. If it sounds like I am putting Brains down, I apologize as nothing can be further from the truth. It is just that he is both a prototype and an original. He needs to be enjoyed. He has to be taken with some allowances as he is not only very British, he is even more old school, British Empire kind of agent.